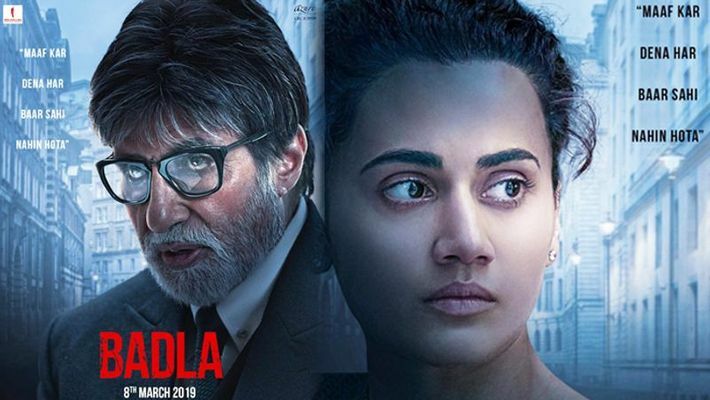 Badla trailer sees Amitabh Bachchan and Taapsee Pannu working together again after the hit movie Pink. The thriller has been directed by talented Sujoy Ghosh. Mumbai: Amitabh Bachchan is all set to defend Taapsee Pannu again in their upcoming movie Badla. A role he had previously played in the critically acclaimed Pink. However, this time around Tapsee is accused of murder and according to the video it looks, she is culpable. In the video, Amitabh is a lawyer named Badal Gupta and is said that he hasn’t lost a case in 40 years. On the other hand, Taapsee’s character is found in a locked room with a dead body (Arjun) and shows that she was staying with Arjun for last 3 months before he was murdered. The plot twist revealed in the video was that she was a married woman with a kid whom she loved the most. Badla is said to be a remake of 2016 Spanish film, The Invisible Guest. On the work front, Amitabh was seen in Thugs of Hindostan with Aamir Khan, Katrina Kaif and Fatima Sana Shaikh which was bombed at the box-office. And Taapsee was last seen in Manmarziyaan with Abhishek Bachchan and Vicky Kaushal which got positive reviews from the audiences and critics.